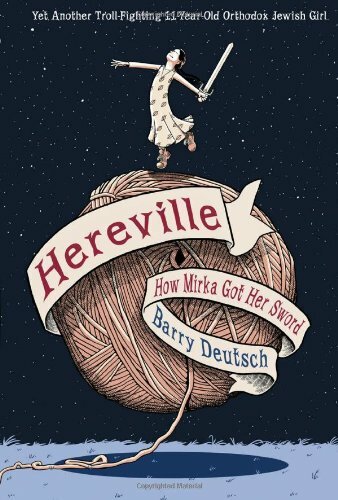 Hereville by Barry Deutsch (Abrams, 2010) features Mirka, a "troll-fighting 11-year-old Orthodox Jewish girl," whose stepmother Fruma argues that she must learn the "womanly art" of knitting. While Mirka discounts the value of these skills, they come in handy when she actually encounters the troll -- both the knitting and Fruma's argumentative style. 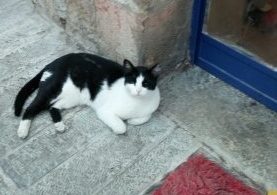 Mirka has been a huge inspiration for me in life as well as in knitting (see Being Mirka and Mussar from Mirka for all the details). A Hat for Mrs. Goldman by Michelle Edwards and illustrated by G. Brian Karas (Schwartz & Wade Books, 2016) is a Sydney Taylor Honor Book for Younger Readers. 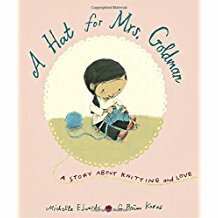 Much like Mirka, Sophia is not a great knitter, but the love she knits into the hat she makes for her neighbor compensates for the dropped stitches. The book emphasizes that showing concern for others is a mitzvah. 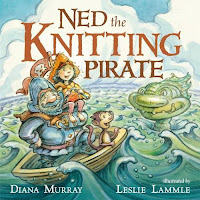 Edwards is quite an accomplished knitter, and her Knitter's Home Companion (Melanie Fallick Books, 2011) includes stories patterns and recipes. 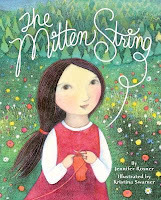 A 2015 Sydney Taylor Notable Book for Young Readers, The Mitten String by Jennifer Rosner and illustrated by Kristina Swarner (Random House Books for Young Readers, 2014) is a folktale about so many things: kindness, resourcefulness and knitting. Ruthie knits mittens. 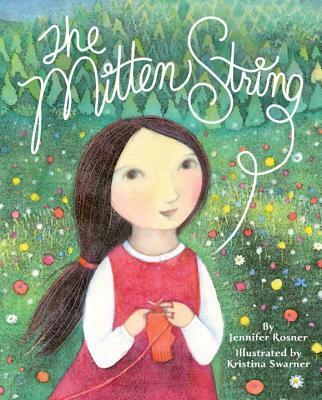 She meets a deaf woman who knows when her baby awakes by the string attached to each one's wrist, and soon Ruthie is knitting mittens with strings. 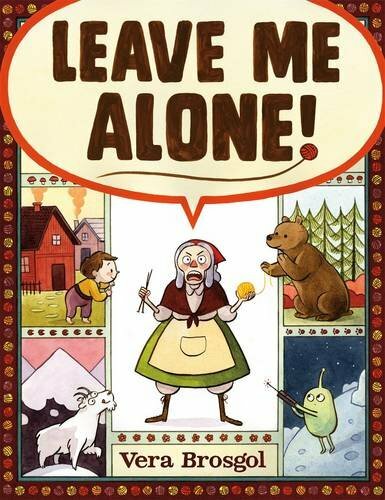 Leave Me Alone! by Vera Brosgol (Roaring Brook Press, 2016) is a Caldecott Honor Book. As winter approaches, an old woman with a large family "had some very important knitting to do." But with a house full of children, it isn't getting done. As she tries to find a quiet place to knit, the title phrase is repeated until she finds the perfect spot. There is no Jewish content, but this is a fun one to include for story time. 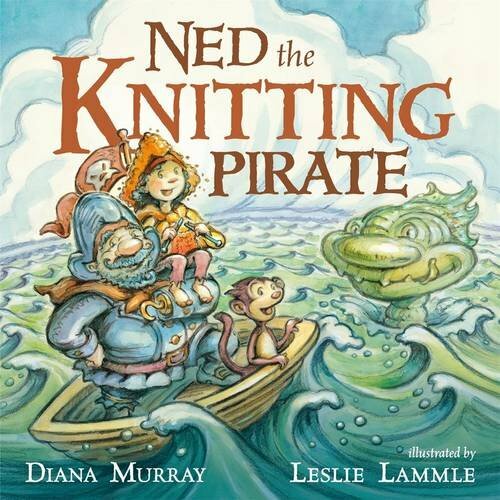 Ned the Knitting Pirate by Diana Murray and illustrated by Leslie Lammle (Roaring Brook Press, 2016) is about a pirate whose hobby may not be popular with his peers, but who eventually saves the day with his handiwork when a sea monster threatens the ship. No overt Jewish content, but an argument could be made about Jewish values in terms of respecting others, using your strengths, and being true to yourself. Betsy Greer's Knitting for Good! : A Guide to Creating Personal, Social and Political Change Stitch by Stitch (Roost Books, 2008) "explores the ways we can use knitting to slow down in a fast-paced culture, while using the craft to benefit charities in our communities, to advocate for worthwhile causes, and to support individuals and communities across the globe." Another book in the same vein, Knitting for Peace: Making the World a Better Place One Stitch at a Time by Betty Christiansen (Abrams, 2006) traces "charity knitting" back to Martha Washington and describes several community projects. TikkunKnits - an intriguing title for a website, but no posts since 2009. An interesting intersection of social justice and knitting projects. It's not a hobby; it's a post-apocalyptic skill. Jewish Knitting: in an article on Kveller, the author reminisces about the sweaters her grandmother knit for her and her siblings, and starts knitting herself, thinking about the different customs and the culture she has taken in by osmosis. Love holiday sweaters? Then read about Sam Barsky, "The Man Who Made Those Viral Sweaters Has One for Every Jewish Holiday" (Forward, January 10, 2017) who also knit sweaters depicting the Kotel and Ein Gedi after an inspirational trip to Israel. Thanks Erika. Very easy to expound on two of my favorite things to do.